Trench coats are always classic fashion items and they show what is dressing flair and feminine charm perfectly. So what color and style should we pick on earth? 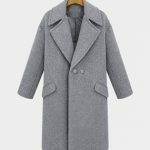 Let’s take a look at the recommended gorgeous long sleeve trench coats. 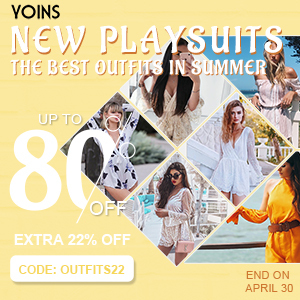 If you are confused of what color to choose, then just get some beige, camel and khaki trench coats because they are classic and never can be wrong. Especially when you are picking trench coats, you’d better choose the classic ones. 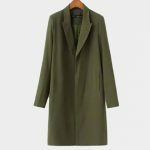 For instance, long khaki trench coats are long enough to be a wind and cold proof, and to pick its matches, you can choose either pants or dresses, which are both beautiful to go with trench coats, only in different styles. Camel trench coat is honored as the most classic trench coat for good reasons. It does look never out-dated and somehow classy. Since the day trench coat was created, camel has been applied on it all the time. And no matter what type the trench coat is, camel is always its recommended and popular color. 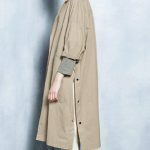 Therefore, camel long sleeve trench coat is a must have if you are looking for a gorgeous trench coat. Except for these mentioned above, there are also olive trench coats as well as other colorful trench coats. Olive green is a very popular color in recent years which can be seen on lots of fashion clothes. Also, in spring you can try many bright warm colors and make yourself gorgeous and glowing in beautiful times. And don’t forget black, white and gray as well as plaids. They are all classic and good colors to pick. More stylish tops, please check here.